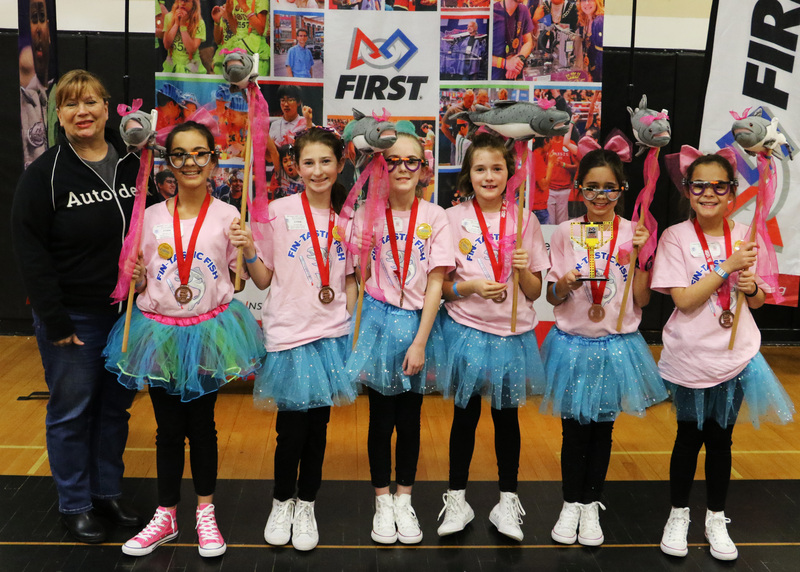 Each month, the world-wide First Lego League organization selects one school robotics team as its CELEBRATION and SHOUT-OUTS featured team. 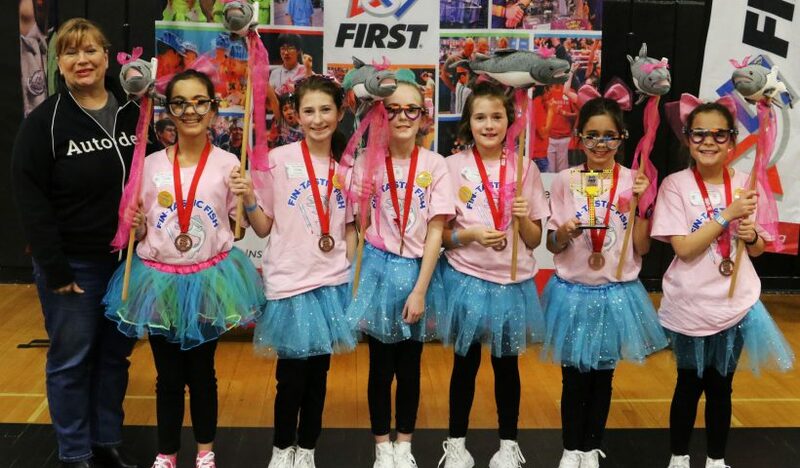 This month, the Fin-tastic Fish from Oak Grove were recognized for their recent Oregon State Championship honors in FLL CORE Values, research project, and technical programming abilities. The team is coached by Oak Grove teacher Mark Gullickson. Read more about this recognition. It is a tremendous honor. There were approximately 32,000 FLL teams and 255,000 students world-wide that participated in FLL this season. Pictured: Championship photo of Fin-Tastic Fins with a representative of corporate sponsor Autodesk, a leader in the world of 3D printing technology.